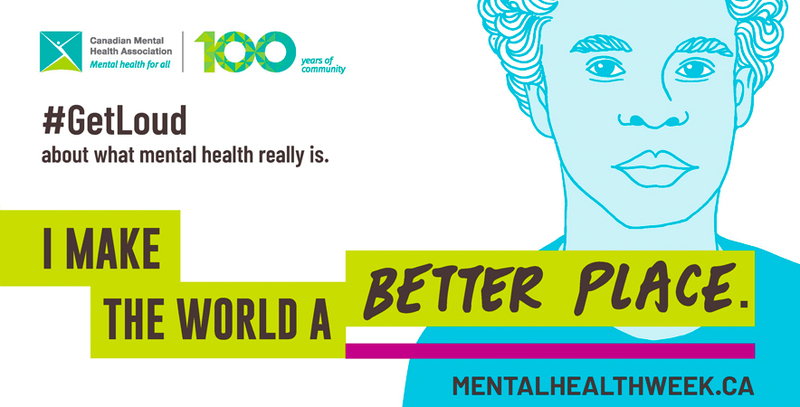 Every May for the last 66 years, Canadians have rallied around CMHA Mental Health Week. Together, we’ve focused on breaking the stigma and discrimination that come with mental health issues and disorders. One in five Canadians live with mental health problems, mental illness or addiction. But the reality is, five in five of us have mental health, just like we all have physical health. We can all benefit from celebrating, promoting and acknowledging the role that good mental health plays in living a full and meaningful life. So, this May, let’s #getloud about how important mental health is for ALL Canadians. To help spread awareness, we’ve selected 3 graphic novels that explore different mental health issues. All of these titles can be found in our Library collection, and the book, “Marbles” is also available as a Book Club Kit. We've also included links to 2 local mental health organizations and their lists of support resources. If you or someone you love needs help or someone to talk to, reach out. There is always hope. Each chapter in this book explores a different mental health issue. The stories are all drawn from author Darryl Cunningham’s experiences working in a psychiatric ward. Cunningham’s stories are thoughtful, informative and to the point. His stark, black and white illustrations are a perfect accompaniment to the serious subject matter. The book finishes on a positive note, with Cunningham sharing how he overcame his own battles with anxiety and depression. With the help of family and medication, the author has gained a huge following sharing his web comics online. This graphic novel follows Nao, a young woman suffering from OCD as she tries to live her life and fall in love. Nao’s OCD manifests in the form of violent, homicidal thoughts, which the reader is able to see. What sets this book apart is strong storytelling and incredible artwork. Dillon’s drawings are so gorgeous, you'll want to read this one slowly to take in all the details. Author and artist, Ellen Forney, shares her personal story in this very honest and creative graphic memoir. Diagnosed with bipolar disorder right before her 30th birthday, the book follows Forney as she comes to terms with her diagnosis and worries about how medication will affect her creativity. Forney’s frank descriptions and excellent sense of humour keep the story entertaining. The Mental Health Foundation of Nova Scotia funds programs and initiatives across the province that impact the lives of those living with mental illness. The Foundation aims to help point people in the right direction when they are looking for help. Canadian Mental Health Associations in Nova Scotia are the oldest community-based mental health and addictions charitable organizations in the province, founded in 1908.The CMHA NS Division holds the licence and provides provincial leadership for mental health in Nova Scotia, with the support of 5 CMHA Branches.